A common mis-perception amongst music lovers is that the MIDI file type is an audio file similar to MP3, WMA, or MP4s. The MIDI type; however, contains descriptions on how to create music specifically tailored for software or hardware made to play the file type. Synthesizers are made to follow the directions or instructions contained in the MDI file. 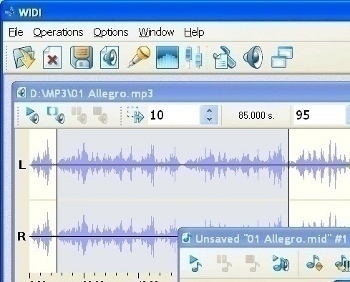 As a result, converting MP3 to MIDI file type requires specialized software which still requires human editing in order to minimize errors in the file conversion. A popular tool that can be used to convert MP3 to MIDI is the WIDI Recognition System Professional. Step 1 – Download and install the WIDI Recognition System Professional software package on your computer. Step 2 – After installation is completed, double click the WIDI application icon installed on your computer’s desktop to launch the program. 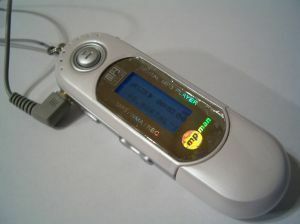 Step 3 – Select the “Transcribe Pre-Recorded MP3, WAV, or CD” from the WIDI Wizard menu on the subsequently displayed screen followed by clicking the “Next” menu button. Step 4– Use the file chooser on the next dialogue menu box and select the MP3 file to convert to MIDI format. Step 5 – Select the “Open” menu button and the application will return you to the previous window with the path to the file saved. Then, select the “next” menu button. Step 6 – Adjust the software settings for MIDI recognition if you are an advanced editor. If not, there are preset options that can be chosen from the drop-down list and click the “Next” menu button. The WIDI program will then proceed to analyze the MP3 file which will take a few seconds. Step 7 – Close the WIDI wizard after the audio file analysis is complete. Step 8 – The main software window will remain visible after the Wizard closes. One window will depict the waveform of the initial MP3 file and the other shows the results of the spectrum analysis. The yellow regions of the screen are normally notes and indicate the most intense sound. Notes are highlighted using borders and the end-user can adjust, delete, merge, and add new notes directly in the window. Additionally, instruments can be added and the tune previewed as desired. Step 9 – Click the “Save” button to continue saving the MIDI file. Step 10 – The trial version of the WIDI application will only permit 10 seconds of a song to be saved. In order to save a full MP3 to MIDI track, the commercial version of the software program must be purchased. 268 queries in 0.313 seconds.